The circus/carnival novel is a well-worn subgenre in the fantasy genre. Circuses are places where magic and mystery hide in plain sight, so they are a natural place for fantastic exploration. They come in various flavors, from the surreal (Angela Carter’s Fellini-esque Nights at the Circus) to the sinister (Katherine Dunn’s Geek Love) to the nostalgic (James Blaycock’s Land of Dreams). 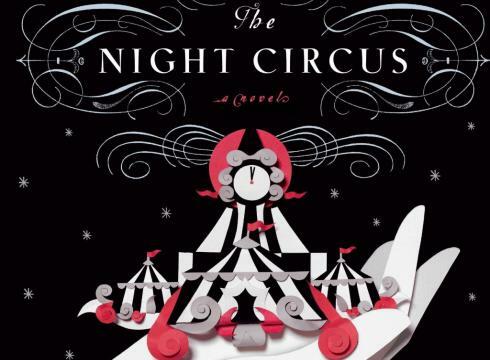 Erin Morgenstern’s much hyped debut, The Night Circus is not the most unique retooling of the circus trope (that belongs to Genevieve Valentine’s dystopian steampunk novel Mechanique), but it is addictive. It’s an unabashedly romantic tale of rival magicians connected to a travelling circus around the turn of the century. Morgenstern’s language is sensual and bejeweled—a tad precious for some tastes. The passionate pas de deux between the magicians Marco and Celia isn’t half as interesting as elegant night circus that Morgenstern creates. It’s full of wonder and whimsy—paper animals that move, labyrinths, rooms of ice and room of scented bottles. The book moves at a languid pace, pausing to describe the rustle of a gown, the detail on a clock, the smell of caramel. Both Marco and Celia are unwilling pawns of their enchanter fathers; in spite of some moments of heated conflict, even that drama isn’t as important as the rich, dreamy atmosphere Morgenstern conjures. Her brocaded text reminds me of those Art Deco paintings by Erté. The Night Circus is a sophisticated fairytale for adult readers, free of irony and jadedness, and full of enchantment.